The Canberra community rallied together to donate to our 2017 Christmas Campaign. We couldn't have done it without our supporters. For many, Christmas can be a time of increased stress, financial pressure and isolation. As a result, Christmas is by far our busiest time of the year and we rely on the support of the Canberra community. 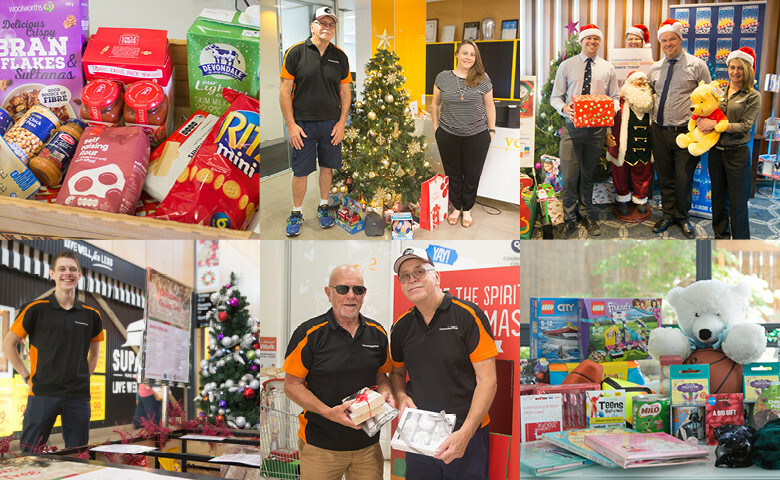 Communities@Work operates Christmas Caves from Gungahlin and Tuggeranong, in addition to our Community Pantries in both locations. Forget Santa Claus, (although, we love your work, Santa) our Caves were the source of Christmas for many Canberrans this Christmas. Clients who visit the caves are welcome to choose gifts from a great selection for themselves and their family members, as well as a number of food items to create Christmas lunch or dinner. With the help of a number of organisations, community groups and people around Canberra, we were able to ease pressure by providing 1,000 people with gifts and distributing 3,600 food items to those who were otherwise going without over Christmas. Over 25 organisations around Canberra pulled together in their workplaces and communities to ensure our caves were stocked with the goods right up to Christmas. A special mention to the relatively new community of Casey who displayed their community spirit by collectively donating over 2,200 gifts and food items. The Casey Market Town hosted a giving box in the middle of the centre and the amazing women from the Country Women’s Association Gungahlin volunteered their time to man the area and educate passersby about the purpose and importance of the giving box. A big thank you to the Casey Market Town Centre Management and CWA Gungahlin for their contribution last Christmas! Our other supporters included Australian Bureau of Statistics, Australian National University, Australian Taxation Office, Calwell Shopping Centre Community, Canberra Baptist Church, Canberra Labor Club Group, ClearCorp, Commonwealth Bank Gungahlin, Cooleman Court Community, Department of Agriculture and Water, Department of Finance, Department of Immigration, EY Canberra, Goodwin Aged Care, Gungahlin Jets Australian Football Club, Independent Parliamentary Expenses Authority, Monash OSHC, Motivate Football Academy Australia, Neville Bonner Primary, Orange Theory Gungahlin, Tuggeranong Hyperdome Community, Weston Preschool and Yellow Edge. A huge thank you to these wonderful organisations – YOU made Christmas possible in 2017! We look forward to another wonderful Christmas in 2018.